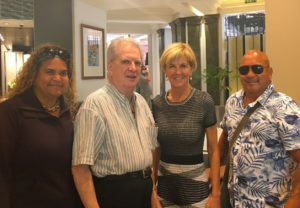 Elizabeth Wymarra, Sir John Walsh of Brannagh (Chief Justice of the ITNJ), the Honourable Julie Bishop (Foreign Minister for Australia) and Alex Wymarra (Treaty Council of the First Nations peoples). 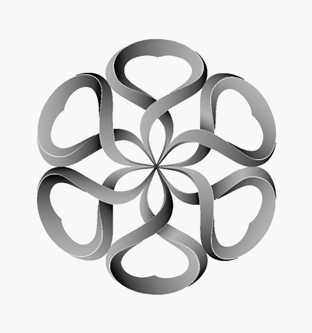 ABOUT THE ITNJ: The ITNJ is constituted to protect and defend the Natural Rights of all peoples of the world. Wherever harm has been done to any living man or woman or any group of People, and all avenues of recourse have been exhausted, without finding remedy or resolve, such cases may be brought before the ITNJ. Wherever justice has been denied, the ITNJ will serve as final arbiter of Natural Justice. 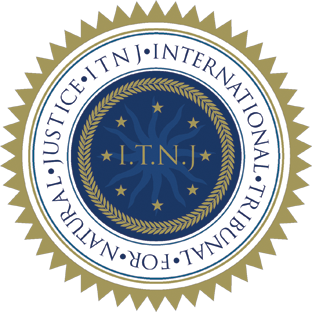 The ITNJ is constituted to uphold natural justice as the foundational tenet of human expression beyond the artifice of boundaries and enclosures.